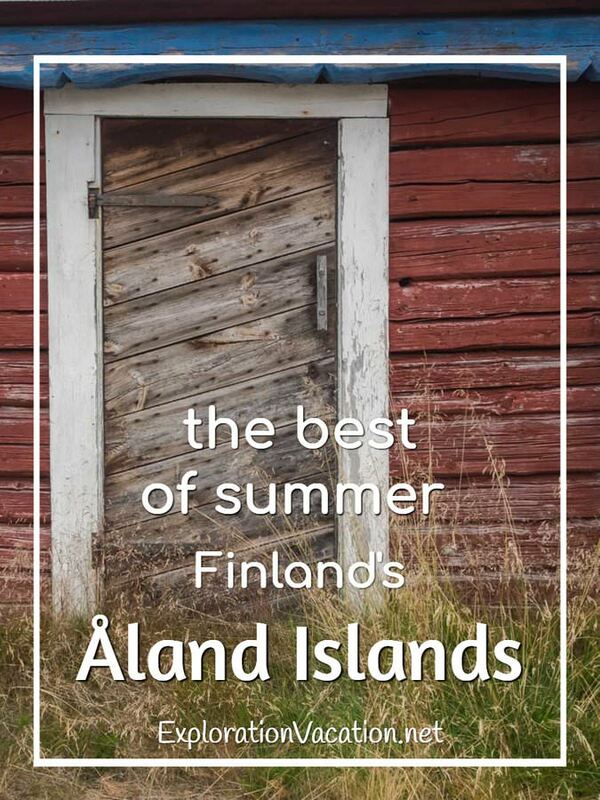 Summer is the perfect time for an Åland Island holiday. I’m a photographer, so I have a weakness for places with a subtle, ever-changing beauty. And the Åland Islands have lots of that. There aren’t any towering mountains or raging waterfalls, but who needs them when there is a whole archipelago of shimmering water, rocky shorelines, green forest, and cheerful red cottages to enjoy?! In a world that sometimes seems too loud and too busy, a vacation in Åland offers a chance to slow down, unwind, and just relax. With over 6,500 islands, you can always find a place of your own! Of course, summer holidays in the Åland Islands don’t have to be about peaceful solitude. The islands also offer plenty of opportunities to join in a whole variety of activities. There is sure to be something for everyone, whether it’s shopping in charming Mariehamn, participating in old Swedish traditions, admiring the moves of visiting dance groups, or watching the classic cars parade by as the “old timers” roll off the ferry and into town! While these tiny islands might seem isolated, they were inhabited long before the Vikings arrived. Over time they have been home to fishermen and farmers, but the islands were also of strategic importance to the great powers of northern Europe. Once deep inside the Swedish empire, Åland became a Russian outpost. Today the islands have a unique status as an autonomous Swedish-speaking region of Finland. Hints of that long and complicated history can be found throughout the islands. There are Viking grave sites, the ruins of a Swedish castle and a Russian fortress, an open air farm museum, and various maritime museums. All of them provide an engaging glimpse of life here in the past. Åland is the perfect place to discover today’s Scandinavian cuisine. The Nordic countries have long moved beyond the bland food familiar to my ancestors – today’s menus abound with fresh local ingredients artfully blended and perfectly prepared. And, with its rich soils and agricultural heritage, summer holidays in the Åland Islands are filled with some of the freshest foods in Northern Europe. Of course, great local food should be served with a great local beverage. Stallhagen is the largest (but not the only) craft brewery in the islands and Smakbyn offers their own handcrafted spirits and liqueurs along with their outstanding cuisine. Our summer holiday in the Åland Islands was limited to a long weekend, so we spent most of our time touring to see what the islands had to offer. (That and eating.) But there are plenty of activities for visitors with more time. The islands offer great options for hike, biking, swimming, paddling, boating, and more. Not that you can’t just relax in the sun! The Åland Islands lie in the Baltic Sea between Sweden and Finland. While the archipelago includes 6,700 named islands, only about 80 are inhabited. And, with only 30,000 residents, there’s a lot of nature for visitors to explore. Historically Swedish, these days Åland is an autonomous region of Finland. The islands are demilitarized and self-governing, with tight rules for property ownership. (You are really fortunate if you know someone with a cottage here.) The capital and largest city is Mariehamn, which is located on the largest island. Åland is pronounced “o-land,” with a very soft “d” at the end. The island’s Finnish name is Ahvenanmaa. For a place that feels so isolated and that few people have heard of, it’s easy to get to the Åland Islands. If you are planning a trip to either Stockholm or Helsinki, the Åland Archipelago is just a short hop away. Have you ever taken an overnight cruise between Sweden and Finland on one of the cruise ship type ferries? If so, you’ve probably been in the Åland Islands, as most ferries make a mid-trip stop in the islands. But don’t be surprised if you missed it, as this stop is usually very short and often happens in the middle of the night! The stop is so you can buy tax-free liquor on board – by stopping in Åland, the ship is exempted from the usual alcohol taxes. But a cruise to the islands offers a lot more than cheap booze. The ferries all offer beautiful scenery as you cruise through the Baltic’s many islands. And the bigger ships offer a mini-luxury cruise vacation as you travel to the islands. Both the Viking Line and Tallink Silja connect Stockholm and Helsinki or Turku via Mariehamn. These lines have large, luxurious ships with lots of extras, including fine dining. On my last trip we returned to Finland from Åland on the Viking Line and everything was excellent. We even had a wonderful meal in the ship’s fine dining restaurant. And keep in mind that on a day trip you may be able to reserve an inexpensive cabin to store luggage and freshen up while traveling. From Sweden, the Eckerö Line operates a smaller ship between Grisslehamn (just under two hours north of Stockholm) and Eckerö Berghamn in Åland. Eckerö supplements their ferry service with a bus connection between Uppsala and Grisslehamn in Sweden and Eckerö Berghamn and Mariehamn in Åland. We traveled to the islands this way and it worked well. The connections are well-managed, the time spent at sea is short, and it is very inexpensive. From Finland, Ålandstrafiken connects several of Åland’s islands with the Finnish mainland. These are smaller traditional ferries, not the cruise ship type ferries used by the other lines, but another affordable way to get around. They also provide service between islands within the Åland archipelago. Book your ship well in advance if you are bringing a car or traveling on a summer weekend. Popular times do book up, especially on the smaller ships. For the time-strapped, Finnair offers flights from Helsinki or Turku to Mariehamn. It’s not cheap, but it is fast. Once you arrive in Åland, you can walk, bike, boat, or drive to various parts of the archipelago. Biking is a great option in summer. Bicycle routes and bicycle ferries create an interconnected network that is perfect for touring the islands. There are public buses that connect Mariehamn to the rest of the main island. Some routes also connect to the interisland ferries run by Ålandstrafiken. We only had a few days for our Åland Island travels, so we stuck to the auto routes that connect Mariehamn to Sund, Saltvik, and other areas on the main island. However, with four ferry lines serving the archipelago, it’s easy to island hop. It’s even free for foot and bike passengers! (Reserve ahead and pay a fee to take your car along.) And, once you get to some of the smaller islands, cable ferries and footbridges connect to even more islands. Like Finland, Åland is on the Euro. Many businesses will also accept the Swedish krona. Credit cards are widely accepted in Mariehamn, but less-so in other areas. Many people in tourist businesses in Åland also seemed to understand English. However, I understand some basic Swedish and was traveling with native Swedish speakers, so there might have been less use of English than it seemed. There are plenty of lodging options even if you aren’t lucky enough to have a friend with a cottage on the island. Your first decision will be whether to stay within an easy walk of activities and dining in Mariehamn or further out – and how far out. There are lots of options if you have your own car, but there are also plenty of spots that can only be reached by foot, bike, or boat. And the car ferries can book up. We stayed right along the harbor in Mariehamn at the Arkipelag Hotel. (Use my TripAdvisor affiliate link to research and book your stay and I’ll receive a small commission at no cost to you.). The Arkipelag is located right at the edge of downtown, so it’s an easy walk to the main shopping area. It’s a casino hotel, but don’t be put-off by the casino – it’s well-separated from the hotel and my cousin turned her 10 Euros of complimentary play into €120! (The rest of us just played until our original €10 was gone.) With a pretty affordable upgrade, we got a room with a deck and a great view of the harbor and the classic cars parading by. It wasn’t fancy, but it was large, bright, and comfortable. There are a variety of other lodgings right in Mariehamn, including a number of hotels that can be booked online (TripAdvisor affiliate link). There are also a few small hotels and resort-type operations throughout the islands, including the fabulous looking Havsvidden Resort (another TripAdvisor affiliate link). It was convenient to be in town, but ordinarily we would have booked a cottage through Airbnb. (Use this member link to save up to $40 on your first booking and give me a credit for my next booking!). There are many options available on all of the islands, with some of the best deals in the more isolated locations. Just make sure you know how you will get to your lodging before you book. Many cottages are only accessible if you have your own transportation (usually a car, but sometimes a bike will do), and some require a boat. Needless to say, summer is busy in Åland, so book in advance. And, of course, there are plenty of options for camping. The Visit Åland website lists 13 campgrounds, about half of which can be booked online. The Visit Åland website has a wealth of information for planning your trip to the islands. What a perfect spot for an island summer vacation. I like that the island is both quiet and lively. I love peaceful mornings, and it’s nice to have things to do later on in the day or evening. Yes, I thought it had a pretty ideal mix – it was easy to spend part of the day off somewhere quiet, but still have lots of great dining and lively activities available when you want them. We missed travelling to the Aland Islands when we visited Sweden, and we shouldn’t have after reading your post. Your photos make me want to be there now. We really enjoyed our time there. Try to make a stop there should you get to that part of the world again! When I was in Helsinki a few years ago there was an Aland “festival” on the harbourfront with singers, dancers and one of those decorated maypoles. I’ve been wanting to go to the Aland Islands ever since. They have a lot of festivals and activities – mostly Swedish, rather than Finnish, which makes the culture a really interesting mix. I hope you get there some day! 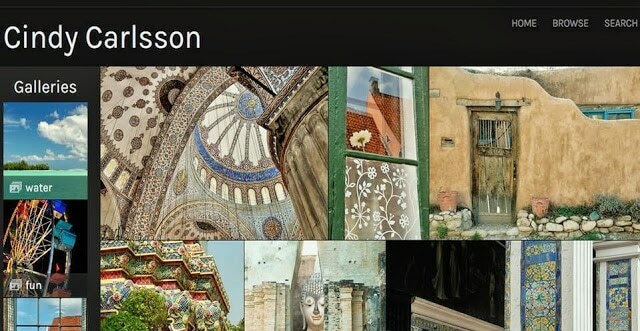 Wow, the photos you’ve shared could be postcards! You’ve certainly got me interested. . .I’ll keep Aland Island on my future’s list! Thank you! I really enjoyed photographing in Aland. And yes, keep it on the list! Thank you for this delightful post. I had not previously heard of the Åland Islands, but your photos definitely make me want to go there. Thanks, Doreen. I’m glad I captured some of the spirit of the Aland Islands. I think they are a really special place. I have never thought of the Aland Islands as a travel destination but your post was so eye-opening, Cindy. These islands seem like paradise on earth. Would you recommend them as a good road trip destination? Well, paradise on earth would have no bugs, so I won’t go that far. But I think they are a pretty wonderful summer get-away. They would make a great stop on a Baltic Road trip, as they make a great stop-over between Sweden and Finland. That’s what we did, traveling by train in Sweden and Finland before/after our ferry/cruise to the islands and then continuing by ferry from Helsinki to Tallinn where we rented a car to continue touring in Estonia, Latvia, and Lithuania. It’s a lovely part of the world to spend summer vacation!